The personal injury lawyers at Schmidt Kramer have been providing clients with professional, personalized, and ethical representation for more than 25 years throughout Pennsylvania. Dealing with the aftermath of a serious injury can be challenging, especially when all you want to do is focus on getting your health back on track. Perhaps you are at a point where the insurance company keeps calling and you are not sure what to say, or you have a hunch that you are not being treated fairly, but are not quite sure what to do about it. Any time you suffer an injury due to the negligent, reckless or intentional conduct of another person or company, it is imperative that you have someone working on your side to protect your rights. We handle all types of personal injury cases throughout Pennsylvania, including Harrisburg, Camp Hill, Hershey, Carlisle, Chambersburg, York, Lebanon, Shamokin and Sunbury. We can help you get the compensation you deserve for the following cases: Car, Truck and Motorcycle Accidents If you were injured in a Pennsylvania car, truck, or motorcycle accident, and the at-fault party's auto insurance company won't stop calling you, has offered you money to settle the claim, or is asking you to sign medical authorizations so it can obtain your medical records and bills, these are all warning signs that you need an experienced Harrisburg car accident lawyer. Whatever you do, do not sign or agree to anything without first consulting with an attorney. You could be forfeiting your rights to compensation needed for your current and future medical bills. Medical Malpractice You feel that something went wrong with your medical procedure, but your doctor is avoiding you and not listening to your concerns. If your doctor or hospital did in fact make a mistake, you only have so much time in the state of Pennsylvania to file a claim before you are barred from doing so forever. Give yourself the advantage by talking to a lawyer experienced in medical malpractice claims about what could have happened and what your options are. It could save your claim, but more importantly, it could save your health after being injured as a result of medical malpractice. Work Injuries You were injured on the job, but are afraid that if you report it, you will be fired. You are entiled to Pennsylvania workers' compensation benefits. Under Pennsylvania law, it is illegal for your employer to let you go just because you were injured. Having an attorney working for your rights and not your employer's will help you keep your job and get you the medical treatment you are entitled to. Accidents on someone else's property The property owner where you were injured is claiming that the accident is not his responsibility. Just because he claims it was not his job to prevent the accident, does not always mean he is correct. There are specific laws that protect both those living on or visiting the property and the property owner. An experienced premises liability attorney will be able to give you the differences and apply them to your specific situation. Social Security Disability We also help those who are seeking the assistance of Pennsylvania Social Security Disability claims. If Social Security Disability denied your request for benefits, despite the fact that you have a legitimate disability, our lawyers know the ins and outs of SSD in Pennsylvania and can help you with your application or appeal as well as obtain the necessary documents needed to prove your disability. The personal injury lawyers Schmidt Kramer encourage anyone who has suffered an injury in Harrisburg, or anywhere in Pennsylvania, to contact us at 717-888-8888 or toll-free at 1-800-232-6201 to schedule your free case evaluation. During your free consultation, an experienced attorney will meet with you, help you analyze your situation and provide you with a list of options to help you recover your health and financial well-being. Our attorneys help you handle an accident caused by the negligent, reckless or intentional conduct of another person or company. Car Accidents When you've been injured in a Pennsylvania auto accident, you want a law firm you can talk toa firm that will offer you help throughout your case. At Schmidt Kramer, P.C., we get to know our clients on a personal level, and we're always ready to help. Talk to our Pennsylvania car accident attorneys todaycall Schmidt Kramer. Truck Accidents Even if a tractor-trailer's size and weight don't intimidate you, consider the frightening fact that a loaded truck requires 20-40% more distance than a car to stop, according to the Insurance Institute For Highway Safety. If you were injured, or a loved one killed, in a Pennsylvania truck accident that wasn't your fault, call and speak with a Schmidt Kramer personal injury lawyers today. Motorcycle Accidents From 18-wheeler trucks and SUVs to compact cars and motorcycles, all drivers on the road must follow the same traffic laws. Unfortunately, some insurance companies refuse to accept this fact and will try to deny you the compensation you deserve after being injured in an accident. If you've been injured in a Pennsylvania motorcycle accident, we'll help you get the money you deserve. Talk to our Pennsylvania motorcycle accident attorneys todayTalk to Schmidt Kramer Personal Injury Brain Injury Slip & Fall Fire & Burn Injury Let the experienced personal injury attorneys at Schmidt Kramer help you with your claim. Call 800.232.6301 today. Social Security Disability Whether an injury or an illness is keeping you from your job, Social Security Disability (SSD) benefits are supposed to be there for you when you can no longer work. Unfortunately, a majority of applicants are denied benefits at the initial level and are either too frustrated or intimidated to appeal. The paperwork can be confusing and the process overwhelmingtimes can seem hopeless. The good news is that the Social Security Disability lawyers at Schmidt Kramer, P.C. are experienced in SSD cases. We can help you through the appeal and will fight to make sure you get the benefits you are owed. Workers' Compensation Workers' compensation claims aren't always cut-and-dried cases that involve a couple of weeks' missed work because of a minor injury on the job. While the system is intended to get benefits to hurt workers quickly and avoid the complications of lawsuits, it doesn't always go that way. The workers' compensation attorneys at Schmidt Kramer have years of experience in successfully handling workers' compensation claims and know how to properly, ethically, and professionally represent injured workers just like you. Construction Accidents Cautionit's something construction workers must practice every day. Due to the nature of their work, construction workers are at an increased risk of being hurt on the job. If you were injured in a Pennsylvania construction accidentwhether you fell from scaffolding, were hit by a falling object, or suffered an electrical shockScmidt Kramer's construction accident lawyers can help. Nursing Home Negligence & Abuse When you place a family member in a Pennsylvania nursing home, you trust that the professionals who look after your loved one will keep their promise to care for him like they would their own family member. Unfortunately, this isn't always the case. If you suspect your loved one has fallen victim to nursing home neglect or abuse, talk to our nursing home abuse lawyers today. Call us at 717-888-8888 or fill out an online contact form for help. Medical Malpractice Birth Injury Visiting your doctor's office or an emergency room can be a similar experiencethe waiting room is crowded and your doctor is in a hurry to get to the next patient. When you are in need of medical care, you know there will be a wait involved, but do you ever consider the quality of care you receive? Our medical malpractice attorneys are experienced in handling medical malpractice caseswe have helped others injured by the negligence of health care providers get the money they deserved and we can help you too. Wrongful Death We understand that the last thing on your mind after losing a loved one is likely to be talking to a lawyer. Between the heartbreak and the unexpected worries over funeral and medical costs, you hardly have emotions to spare. That's why we handle every case with the compassion, professionalism, and discretion it deserves. Our wrongful death lawyers work diligently to take care of all the legal aspects of your claim so you can focus on moving forward with your family. Sexual Abuse/Assault When you suffered the humiliation, shock and pain of sexual abuse or sexual assault, the thought of recovering financial compensation may be the furthest thing from your mind. Often, however, you have a right to obtain restitution for your injuries, both physical and emotional. The Pennsylvania injury attorneys at Schmidt Kramer have been involved with the Sandusky case since it began unfoldingand we are ready to answer your questions and review your legal options. To learn more about a possible civil case, contact us today at 800.232.6301 or fill out the short contact form to the right of this article. Defective Products & Medications Stryker Rejuvenate Fresenius GranuFlo & NaturaLyte Injury Actos & Bladder Cancer Even though many of the things we buy are safe and effective for their intended use, all too often a dangerous product or medication ends up harming the very person it's intended to help. The Consumer Product Safety Commission reports an average of 25,900 deaths and 33.2 million injuries each year associated with consumer products. The Pennsylvania defective product attorneys at Schmidt Kramer are committed to holding irresponsible manufacturers accountable for their negligence. Asbestos & Mesothelioma Claims Asbestos and the resulting cancer it causes, known as mesothelioma, is one of the most insidious environmental injuries to date. A person could breathe in asbestos fibers one day and not show symptoms of mesothelioma until 30 years later. This is a complicated issue that requires experienced, knowledgeable Pennsylvania environmental injury lawyers on your side to help you get the compensation you need. If you or someone close to you has been diagnosed with or died from an asbestos-related mesothelioma or lung cancer please contact Schmidt Kramer immediately for more information. A life-long resident of Harrisburg, Mr. Schmidt graduated from Bishop McDevitt High School in 1965, the University of Notre Dame in 1969, and Dickinson School of Law in 1974. Between college and law school, he served in the U.S. Army. He was admitted to the Pennsylvania Bar in 1974 and the Federal Bar in 1979. 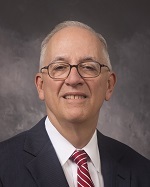 Mr. Schmidt is a former panel chairman of the Pennsylvania State Supreme Court Disciplinary Committee and a former Special Master in Dauphin County (a lawyer who is appointed to act as a judge, taking sworn testimony in divorce cases and rendering decisions). He also has served as a member of the Medical Malpractice Advisory Committee to the Dauphin County Court of Common Pleas. He holds professional memberships with the American Association for Justice and the Pennsylvania Association for Justice. 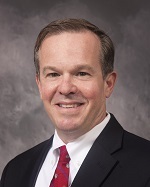 He is president of the Central Pennsylvania Trial Lawyers and a member of the Board of Governors of the Pennsylvania Association for Justice. Mr. Schmidt is certified by the National Board of Trial Advocacy, recertified 2012. He was also selected for inclusion in 2010, 2011, and 2012 Pennsylvania Super Lawyers. He is also listed in Best Lawyers in America (R). Mr. Schmidt has previously served as an Adjunct Professor at Dickinson School of Law. He also has participated in numerous seminars and lectures on ethics, legal malpractice, and topics relating to civil litigation. Mr. Schmidt is a board member of the Harrisburg YMCA, East Shore and the Vietnam Veterans Association of America. When you've been seriously injured, you have questionsturn to Schmidt Kramer and talk to Charles Schmidt. Our Pennsylvania car accident attorneys will walk you through the legal process and get you back on your feet. Call (800) 232-6301 or fill out a free online consultation formit's yet another way to Talk to a Lawyer. Gerard Kramer is a 1982 graduate of Ursinus College and a 1985 graduate of Penn State University's Dickinson School of Law. Mr. Kramer has been admitted to practice law in both Pennsylvania and New Jersey. He is also admitted to the United States District Court for the Middle District, the United States District Court for the Eastern Court, and the Federal Court of New Jersey. He does not actively practice in New Jersey. He holds professional memberships with the Pennsylvania Bar Association, American Association for Justice, the Pennsylvania Association for Justice, and the Central Pennsylvania Trial Lawyers Association. Mr. Kramer was also selected for inclusion in 2010 and 2011 Pennsylvania Super Lawyers. Gerard Kramer has lectured for the Pennsylvania Trial Lawyers Association and the Pennsylvania Bar Institute on such topics as evidence, defective product litigation, and premises liability litigation. He is a past president and a member of the Board of Directors of the United Cerebral Palsy Association of Central Pennsylvania. He is co-chair of the Schmidt Kramer United Cerebral Palsy Golf Tournament. When you've been seriously injured, you have questionsturn to Schmidt Kramer and talk to Gerard Kramer. Our Pennsylvania injury lawyers will walk you through the legal process and get you back on your feet. Call (800) 232-6301 or fill out a free online consultation formit's yet another way to Talk To A Lawyer. Contact our Pennsylvania car accident attorneys today.